Teaching a child how to swim is one of the most rewarding activities that Jeff Ellis Swimming offers. How does a child take what they have just learned to the next level when they know all of the strokes? The answer is the Advanced level. Our Advanced swim lesson polishes your students skills that they have previously accomplished in the lower Jeff Ellis Swimming levels. At the advanced level, swimmers will be able to complete at least 100 yards of freestyle, back stroke and breast stroke- just to name a few. Our Advanced level is also a pre-requisite for competitive swimming. Our coaches have been trained and certified in the advanced level and have the experience to push children to do more challenging skills in class. When a child has moved above Advanced level we recommend trying out for a local swim team to continue what they have learned from Jeff Ellis Swimming and to further their career as a competitive swimmer. Swim team has its challenges but is also rewarding in more ways than one. Team bonding and friendly competition are good examples of what swim team can offer a child who wants to continue progress on their swimming ability. 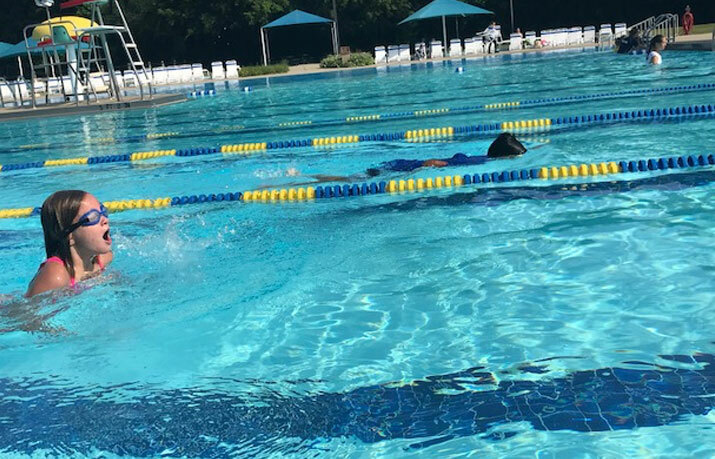 Whether your child is learning how to do a flip turn for the first time on swim team or just wants to improve endurance and technique, rest assured they'll be in good hands at Jeff Ellis Swimming.